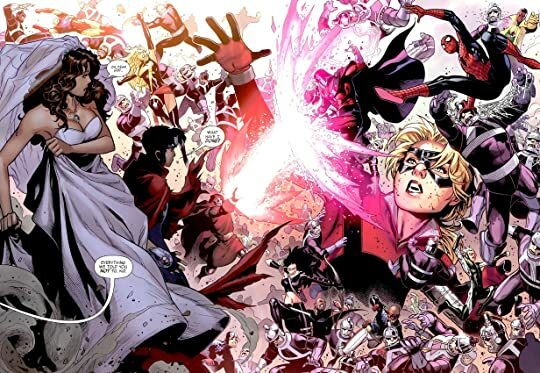 Two of the Young Avengers Wiccan and Speed look like twins, have the same name as Wanda Maximoff's children, and have the same powers as the Scarlet Witch and her brother Quicksilver. Wishing to know the truth the Young Avengers set out to find the Scarlet Witch Wanda Maximoff. 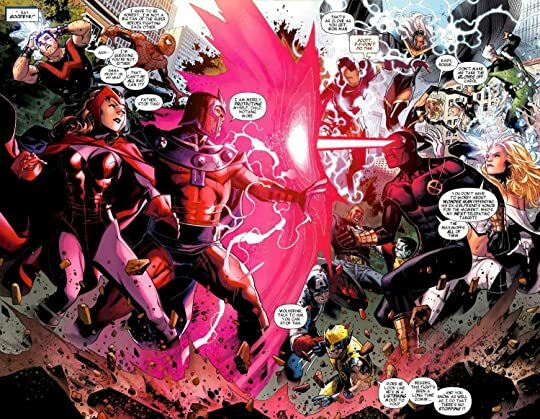 The Children's Crusade continues the storyline started in Avengers Disassembled and continued in House of M. Wanda's powers got out of control and she altered reality harming millions and depowering the majority of the mutant population. I was vaguely aware that this was a large scale continuation of that story line so I was interested to see how things went and I have to say things were a bit crazy. I really appreciated the mocking comments made about Civil War. It was hard not to mention heroes fighting each other because it seemed to be happening practically ever issue in the volume. 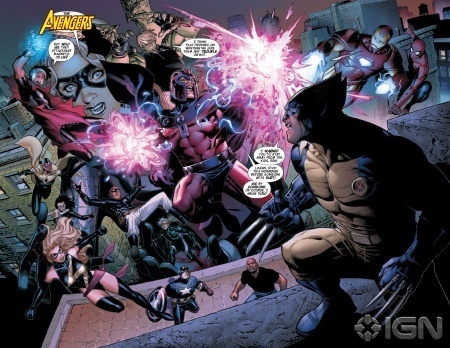 A lot of information was revealed about Wanda and the what led up to Avengers Disassembled. It was helpful because it seemed crazy to me that Wanda's abiltiies went so over the top. There were a few parts that were too convenient. Clearly there was some sort of plan in place to continue stretching out the events of M-Day. It was rather annoying the way things were explained and interfered with at times. It felt like someone decided Wanda had to be a hero again so some twisting of the facts was needed. All in all the Children's Crusade was one enjoyable story.